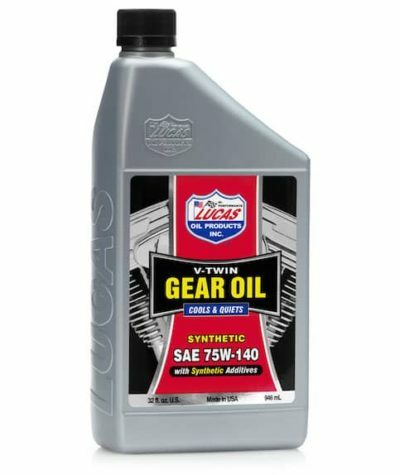 Lucas V-Twin Gear Oil is a 75W-140 gear oil for big twins that is designed to cool and quiet your transmission with minimum wear and drag. 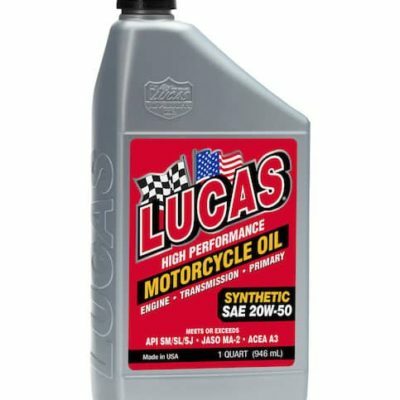 Lucas Synthetic SAE 75W-140 V-Twin Gear Oil is blended with the highest quality synthetic base oils and a Lucas synthetic additive package that makes it superior to any other motorcycle gear oil. Expect a cool quiet performance with minimum wear and minimum drag. Stands up to high horse power and high temperatures. 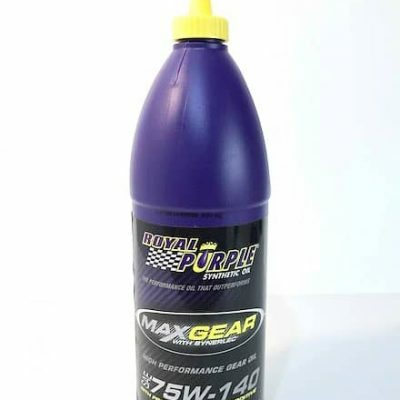 Designed specifically for V-Twins but excellent for use in any heavy duty or high performance transmission.